Anything that you buy like drinks, snacks or souvenirs are not included. Guests must be able to walk approximately 1/2 mile over even and uneven surfaces. A hat, sunglasses, lightweight clothing and comfortable walking shoes are recommended. 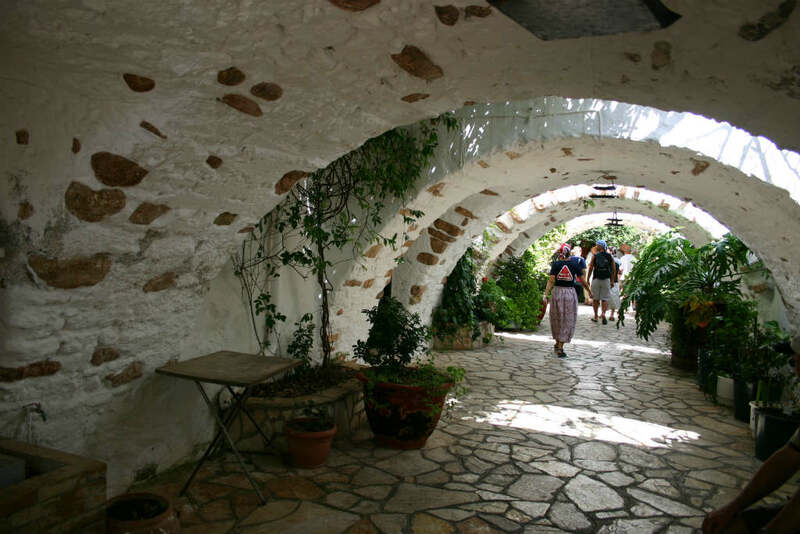 Embrace the picturesque countryside of Corfu during this memorable, half-day excursion to Paleokastritsa, Bella Vista with its breathtaking views and the Old Town by choosing to book this tour. 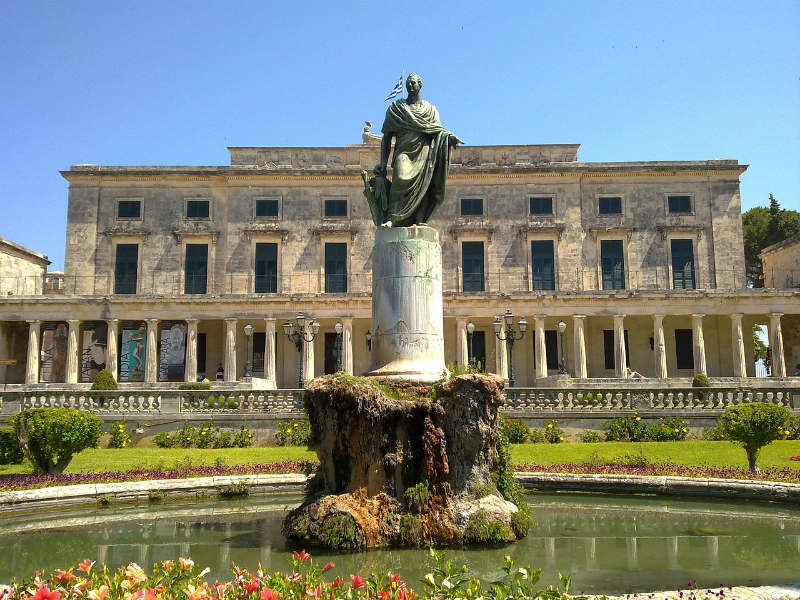 You will be driven west to the area of Paleokastritsa which is considered to be the most beautiful resort on Corfu. It is a small bay 25klm from the center of the Corfu city, with turquoise clear waters surrounded by hills and known as the “Capri of Greece.” Upon arrival, a visit to the historic Byzantine Monastery of The Blessed Virgin Mary will be made and a short photo stop on the main bay. The monastery was built at the top of a hill in 1228 but the present building dates from the 18th and 19th centuries and is still inhabited by a self-reliant community of monks. 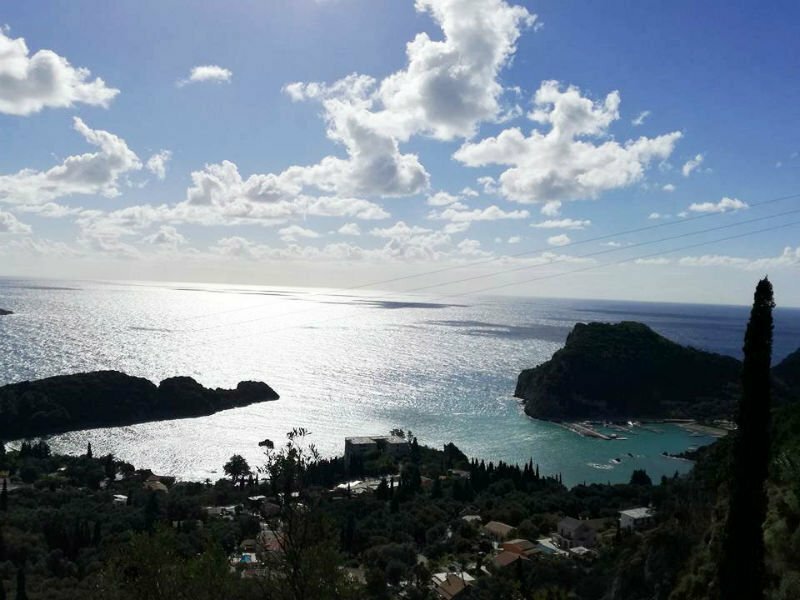 Approximately 20 minutes later you reach the traditional village of Lakones and you stop at an area called Bella Vista (beautiful view) where you will have a bird’s-eye view of the most breathtaking views and one of Corfu’s astonishing natural wonders, the heart-shaped bay. If you wish you can have a coffee, a drink or taste the local desserts while enjoying the spectacular view and do some shopping at the souvenir shops of the area. Before the end of the tourwe will stop in the historic center of the Old Town of Corfu, a UNESCO World Heritage Site where you will have the chance to take some photographs of Espianade square, Liston area, the Royal Palace of St. George & St. Michael, an imposing building built entirely of yellow Maltese stone, The Old Fortress and the cricket grounds.